When it comes to experienced injury advocates, residents of Key Largo and other communities in the Keys know that Associates and Bruce L. Scheiner, Attorneys for the Injured, is the firm to call. 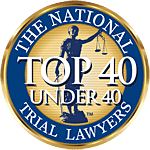 For four decades, our firm has had the honor of being a leading choice of individuals and families who have suffered serious injuries in car crashes. We also have shared the pain of families who have lost loved ones to careless or negligent drivers. Key Largo personal injury and wrongful death lawyers at our firm are committed to providing every client with outstanding service and skilled legal representation. If you or someone you care about has been hurt in a car accident, you’ll find the proven legal professionals you need at Associates and Bruce L. Scheiner. Key Largo is the most northern of Florida’s Keys and is renowned as the location of the nation’s first undersea park – John Pennekamp Coral Reef State Park, site of the famed statute of Christ of the Abyss. Not surprisingly, Key Largo is called the Dive Capital of the World. The 27-mile-long island is a part of Monroe County, and was made famous in the Bogart/Bacall movie, “Key Largo,” as it also was in popular songs by the Beach Boys and others. An unincorporated area, Key Largo is connected to the Florida mainland by U.S. Highway 1 and by the Card Sound Bridge. Popular with kayakers, fishing enthusiasts and scuba divers, Key Largo’s permanent population numbers just over 10,000. Key Largo’s popularity makes it the ideal gateway to the Keys and it’s proven to be a community that attracts visitors in search of sand, sun and Florida’s tropical lifestyle. At Associates and Bruce L. Scheiner, Attorneys for the Injured, Key Largo car accident attorneys know that visitors can swell the number of travelers on Florida roads. Our state’s streets and highways are the sites of more than 235,000 traffic crashes per year, and those accidents mean injuries for nearly 200,000 people. Our Key Largo personal injury and wrongful death lawyers are aware that for some 2,372 individuals crashes statewide prove fatal. Our experienced attorneys know how to build compelling cases designed to recover monetary damages for accident victims. Our Key Largo boating accident attorneys also recognize the risks to tourists and residents on the water. Associates and Bruce L. Scheiner has long advocated safety on our state’s roads. Our Key Largo accident lawyers have seen the tragic results of impaired motorists’ actions. We know that the Centers for Disease Control and Prevention reports that drunk drivers kill someone in our country about every 48 minutes. We also understand that drunk drivers are linked to more than two-thirds of the traffic-crash deaths involving children. Because our Key Largo drunk-driving accident attorneys represent heartbroken families who have lost members in drunk-driving crashes, we know the anguish they experience. That only strengthens our resolve to aggressively seek the maximum compensation available for their losses and to see that impaired motorists who take innocent lives are brought to justice. Key Largo motorcycle accident lawyers at Associates and Bruce L. Scheiner have built nearly four decades of experience in representing motorcyclists injured by careless drivers. Mr. Scheiner’s interest in motorcycle safety underlies our firm’s support of community events and programs that focus on greater motorcycle awareness. Because they have no protection against the size and weight of larger vehicles, motorcyclists often find themselves with serious physical injuries after an accident. Key Largo motorcycle accident attorneys at our firm know how to effectively handle their injury claims, and we are proud to be a leading choice of motorcyclists across Southwest Florida when they need legal skills and strong advocacy following a crash. At Associates and Bruce L. Scheiner, Attorneys for the Injured, Key Largo personal injury and wrongful death lawyers will meet with you free of charge to evaluate your case. If you or a loved one has been hurt in a car accident, truck accident, motorcycle accident, drunk-driving accident, pedestrian accident, or any other instance that has left you hurt by someone else’s negligence or carelessness, we stand ready to help. If we take your case, you may be assured that you have skilled and caring professionals on your side. We pledge to treat you with the respect you deserve and to keep you informed at every stage of your injury claim process. You pay no fees unless we win.